Do you want to learn more about options for families who homeschool online? I recently interviewed Jessica Parnell of Bridgeway Academy about the pros and cons of using an online homeschool curriculum. Here's the full transcript of our interview, in which Jessica shares her expertise in online homeschooling. What is your educational background, and how did you become involved in homeschooling? A former high school English teacher and director of gifted education, I have my undergraduate degree in English education and my master's in English. How do homeschool online programs work? Bridgeway's online homeschooling is a fully online program that does not require additional textbooks. Students log on to the program and participate in engaging instructional activities. These include videos, interactive games, upbeat instruction and online practice activities, quizzes and tests. Students also have the opportunity to build writing skills and receive feedback through interaction with instructors as they submit writing assignments. How did you become affiliated with online homeschooling? Online homeschooling was a natural outgrowth of Bridgeway Homeschool Academy's core homeschooling program. For twenty years Bridgeway has been working directly with homeschooling families to provide customized homeschooling programs that meet the specific needs of each individual child. With changing technology and computer savvy students, we quickly realized that the online option could meet the needs of students who need more accountability and desire more interaction with instructors. It also frees up parents who need to give more individual attention to younger siblings. What are the benefits of homeschool online programs over other homeschooling methods? I don't know that I would say online homeschooling is better than other homeschooling methods - it is simply a different method of homeschooling. If a family is seeking more accountability for their students or feeling inadequate to provide the instruction, then online homeschooling is a great option. If a parent has several children who have different academic needs and just cannot find the time to focus on each individual, then online homeschooling provides a way for students to stay on track and receive help without losing the freedom that homeschooling provides. And of course, for the student who needs the visual and auditory modes of instruction, online homeschooling hits the mark! Are there any disadvantages to using homeschool online programs? The main disadvantage is that parents are no longer fully engaged in the homeschooling process. In most cases, students will have to follow the requirements of the online courses rather than choose to dig deeper into a specific area or skip another one completely. This transition may be difficult for families who have provided a more eclectic approach to homeschooling. And of course, there is the fact that students in a fully online program are at a computer for several hours every day. What type of families/students enjoy online homeschooling? The parent is not confident in the subjects they are teaching and want to ensure that their students are well prepared for college. Working families who are seeking a homeschool option for their children. Students who really enjoy the computer and have a "tech-y" bent. Students who would benefit from the combination of auditory and visual instruction. What type of families/students tend not to want to homeschool online? Families who tend to dislike the online homeschooling are those who prefer to have more control over their schooling. They enjoy the freedom of picking and choosing what aspects of each course they prefer to use and designing their own courses. Many of these families tend to be very confident and independent. Others who tend to dislike homeschooling online are those who like to get their hands on a textbook or to curl up with a book. In many situations they are not as computer literate or see so many hours on a computer as a problem. Many families who dislike the idea of online homeschooling also have several children and cannot realistically allow enough computer time for each child without purchasing a separate computer for each. How much parental involvement do online homeschool programs require? With fully online homeschooling, day to day parental involvement is reduced considerably. A parent is still the first choice when the student gets stuck on a concept. However, due to the nature of the program, it is usually much easier for the parent to help. How do families who homeschool online make sure they remain involved in their children's schooling? The best way to ensure a strong connection with your child's schooling is take a few minutes each day or week to log in to the parent screen and view the lessons your child has completed. There you can see if there are areas where your child may need additional help or input from you and you can check progress to ensure that he or she is staying on track with the lessons. Best of all, because you are not the primary instructor, you have the freedom to develop enrichment activities (i.e. field trips, projects, books to read, etc.) that relate to what they are studying and allow them to use their gifts and talents to supplement core instruction. How do families who homeschool online make sure their kids are getting enough one-on-one attention and social interaction? This can be handled in the same way as those who choose a traditional method of homeschooling. Setting aside time to connect one on one, getting involved in outside activities, joining a support group... these are all activities that can be used in an online homeschool environment . How do families who homeschool online make sure they are still inspiring creativity and discovery in their children? One of the huge benefits of homeschooling is the ability to inspire creativity and to ensure that your child can pursue his or her own excellence. Parents should not lose that vision just because they are using an online homeschool program. Instead, be sure to use the time you save to continue to develop opportunities for creativity and discovery. Talk with your online instructor to see if there is any flexibility in the program to allow your child to stray from the norm and add their own touch to their courses. And most of all, don't forget to ask your children. They often have their own inspirations that can be much more effective than anything we can design for them. What type of equipment is generally required of families who homeschool online? I am unsure of the specific needs for other online homeschool programs. Bridgeway Academy's online program can be used on any computer - both PC and Mac - with Internet access. We also require that students keep a notebook for each course where they can take notes during the video instruction sessions. Some choose to keep those notes right on their computer; others will take them by hand. How should parents go about choosing an online home school for their children? Be sure you check into the history of the company. You do not want to sign on with a start up that may not have their systems fully functioning. Ensure that there is a level of flexibility that will allow your child to take the time he or she needs to succeed. Verify that you can work to mastery in each subject. If your child fails a quiz or test and cannot go back to review the material and firm up those skills, you are not meeting his or her academic needs and could very well see them begin to struggle as they move on to more difficult concepts. If you have an advanced student, verify that he or she can take honors level, AP or Dual Enrollment courses (college level courses where students earn both high school and college credits). Choose a program that provides teacher/academic interaction and support. Don't hesitate to take this incredible step-it is a challenging but very rewarding journey that you will not regret! Much of my advice for new homeschoolers can be found on my blog, jessica-parnell.com, and/or in the resources section of our home page at www.homeschoolacademy.com. 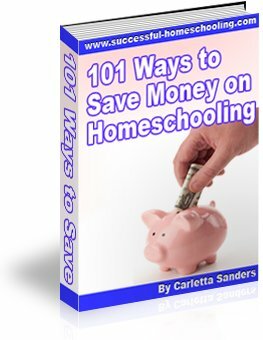 You can also read my articles on the Ten Steps to Getting Started, and on The Ten Mistakes in Homeschooling. Please tell us about your products for homeschoolers. Bridgeway Academy is a full service homeschool academy that makes getting started easy! Our team of enthusiastic and highly trained advisors work with you every step of the way to ensure that you provide absolutely the best program for each and every one of your children. We understand that no two children are alike. Therefore, we approach homeschooling the way it was meant to be-one child at a time. Our program is customized to the needs of each child as well as to the dynamics of your home. Bridgeway Academy provides homeschooling packages for students from Pre-School to Adult Education that include traditional textbook/workbook courses, CD ROM, online high school and college level dual enrollment. In addition we offer a strong learning disability program that takes your struggling learner from failure to success! In a nutshell-Bridgeway Academy's 20 years of experience with homeschoolers has lead to the best and most flexible homeschool program available anywhere! Learn more 24/7 at the Bridgeway Homeschool Academy website, www.homeschoolacademy.com or call us at 1-800-863-1474. Here's some additional information about computer-based homeschooling, along with reviews of popular programs.